MESSIAH'S BRANCH Ministries and International Radio: End Time Radio By Messiah's Branch - PROPHECY HOUR: 7 SIGNS TO SPOT THE ANTI-CHRIST EARLY! End Time Radio By Messiah's Branch - PROPHECY HOUR: 7 SIGNS TO SPOT THE ANTI-CHRIST EARLY! 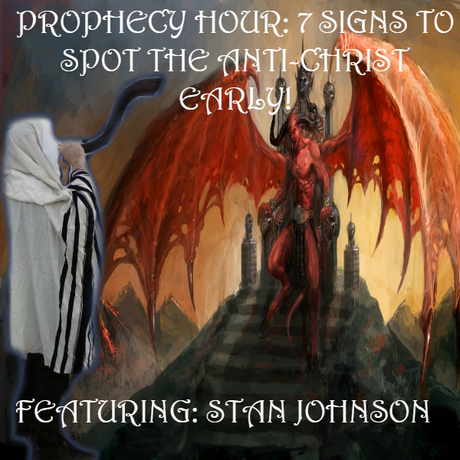 PROPHECY HOUR: 7 SIGNS TO SPOT THE ANTI-CHRIST EARLY! Stan Johnson has memorized the book of Revelation. He has studied Bible prophecy for 40 years, has been teaching it for 35 years and has made 32 dvd's on it. He is the founder of The Prophecy Club and has hosted speaking tours for over 160 guest speakers over the last 22 years. These 160 speakers have made over 335 DVD's on Bible prophecy. Stan and Leslie hsi wife founded the Spirit of Prophecy Church in 1998 and currently Pastor the Spirit of Prophecy Church in Plano, Texas. He is also the President and CEO of Prophetic Oil, Inc. whose goal it is to find the prophesied oil in Israel. • Introduced Dumitru Duduman whose message is that America is the Mystery Babylon, and Stan's primary mission is to continue that warning. • Introduced Hayseed Stephens whose vision was to find oil in Israel and Stan also continues his vision. 7 Signs to Spot the Antichrist Early! Most Christians will spot the Antichrist when he sits on the golden chair, the throne of God on earth known as the Ark of the Covenant. He will stop animal sacrifice and require all people to take his mark in order to buy or sell. Those are the obvious signs but by then it may be too late. The problem with not knowing sooner is by then the strong delusion will have already hit so strong that if it were possible (For some it may be) to deceive the very elect! …warn your children, family and friends "This is the man!" 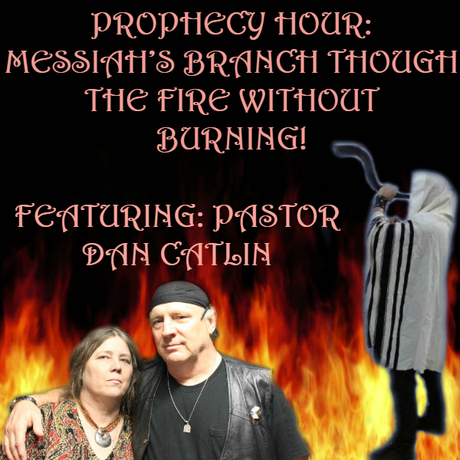 PROPHECY HOUR: MESSIAH'S BRANCH THOUGH THE FIRE WITHOUT BURNING! Several attack's such as a storm that wiped out the radio computers…and a great praise report!